A Student of History | Devoted to all things historical…. My new book will have a great cover. It will be available from the History Press in mid-November. From the end of the Revolutionary War in 1783 to the beginning of the War of 1812, the nascent United States Army encountered significant challenges, both within its own ranks and in the field. 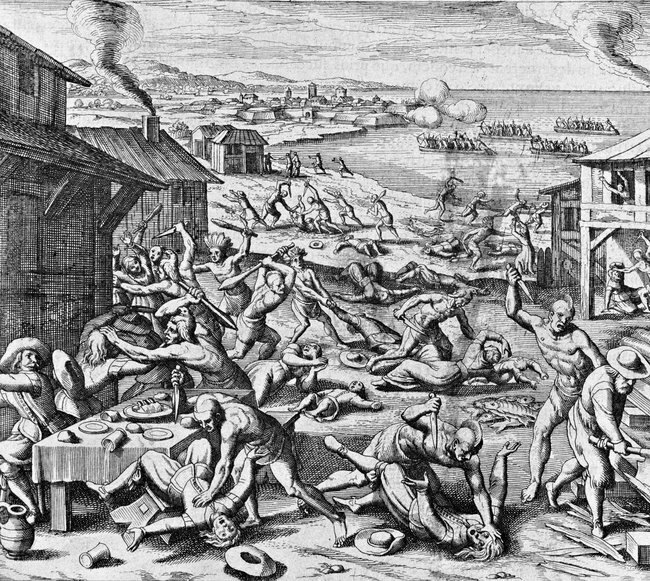 The Army faced hostile American Indians in the west, domestic insurrections over taxation, threats of war from European powers, organizational changes, and budgetary constraints. It was also a time of growth and exploration, during which Army officers led expeditions to America’s west coast and founded a military academy. 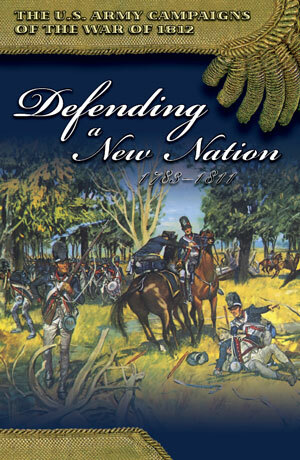 Defending a New Nation, 1783–1811, the first volume of the “U.S. Army Campaigns of the War of 1812” series, tells the story of several military campaigns against Indians in the Northwest Territory, the Army’s role in suppressing the Whiskey Rebellion (1794), the Quasi-War with France and confrontations with Spain, the influence of Jeffersonian politics on the Army’s structure, and the Lewis and Clark expedition. The Braddock Road Preservation Society has made its plans for their annual Nov. meeting in Western Penn. To see the program, click here. I attended last year (the bus tour only) and enjoyed it. The Washington Times has a double review of 2 new books about the coming of WWI. The centennial of that war is coming up, so we are seeing a rash of titles over the last year or more about this conflict. 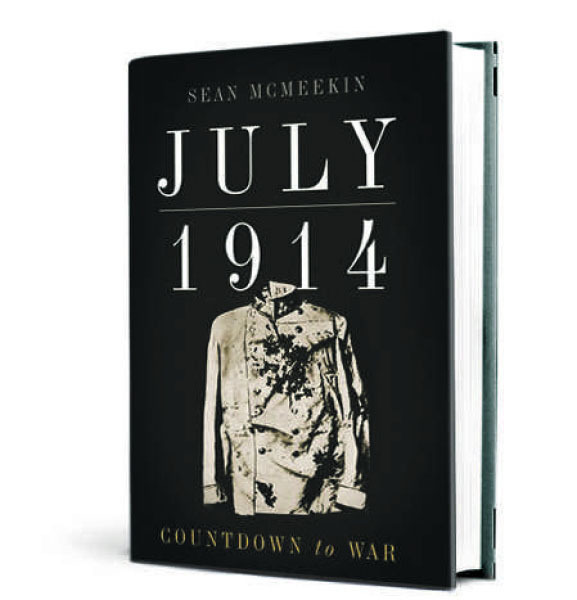 The WT includes in its review “July 1914,” by Sean McMeekin. I have a copy and read it one month ago, and must say it is excellent. I am not a European historian so when I try to tackle a title like this, sometimes I get a bit overwhelmed with the names, background, etc., but this book avoided this completely. McMeekin does a great job helping the reader keep names and titles straight, and his style of jumping back and forth between Germany, Austria-Hungary, France, Russia and GB was WELL done. I heartily recommend this title. The Ney York Times also reviewed both books in early May. The astute observer of 18th century events and British Whig politician, Horace Walpole observed, “The volley fired by a young Virginian in the backwoods of America set the world on fire.” Walpole’s words ring true. The Virginian he was referring to was, of course, a 22-year old militia major named George Washington. 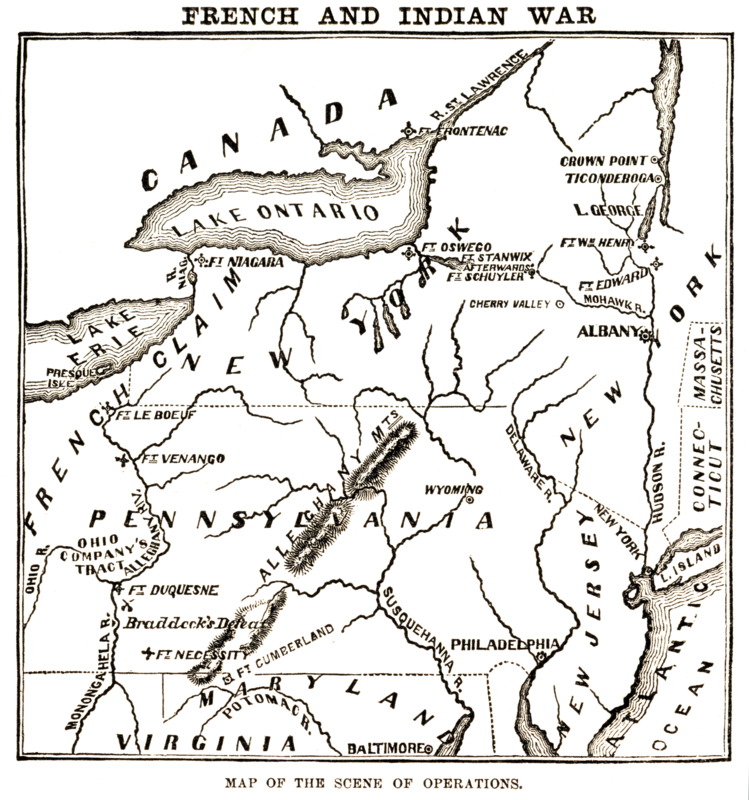 Washington’s actions in western Pennsylvania are credited with starting the French and Indian War in America. Besides George Washington, Braddock’s Campaign of 1755 will introduce many personalities who became famous during the American Revolution: Daniel Morgan, Daniel Boone, Thomas Gage, Charles Lee, Adam Stephen and Horatio Gates. The Civil War Trust is asking for help saving even more land at Chancellorsville Battlefield in Va. Click here for more information on how you can help. The Civil War Trust is America’s largest non-profit organization (501-C3) devoted to the preservation of our nation’s endangered Civil War battlefields. 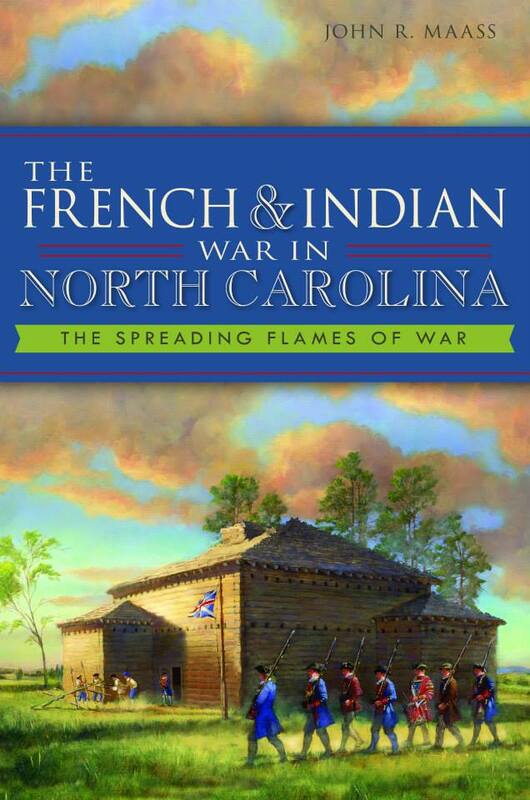 For more on the history of the battle, go here to see the U.S. Army’s new publication. MOUNT VERNON, VA – Today the First Minister of Scotland, Alex Salmond, hand-delivered books originally from George Washington’s library to Mount Vernon. The National Library of Scotland is helping to complete a recreation of George Washington’s original book collection in the Fred W. Smith National Library for the Study of George Washington, set to open September 2013. The books will be on loan to Mount Vernon from the National Library of Scotland. As part of Salmond’s visit to Mount Vernon, the First Minister toured Washington’s estate with Stewart D. McLaurin, Vice President for The Fred W. Smith National Library for the Study of George Washington. During a moving tribute performed by a bagpiper, the First Minister laid a wreath at the tomb of Washington. Following the wreathlaying, Salmond presented the books from the National Library of Scotland to Mount Vernon’s president, Curt Viebranz during a private ceremony. The books presented to Mount Vernon are two volumes entitled the “Official Letters to the Honorable American Congress, Written, During the War between the United Colonies and Great Britain, by His Excellency, George Washington, Commander in Chief of the Continental Forces (London: 1795).” In 1795, John Carey, editor of ‘Official letters’, sent these volumes to President Washington with manuscript remarks. This unique copy of ‘Official letters’ was donated to Scotland’s national collection in 1938 by the family of Hugh Sharp, a bibliophile and wealthy jute manufacturer. 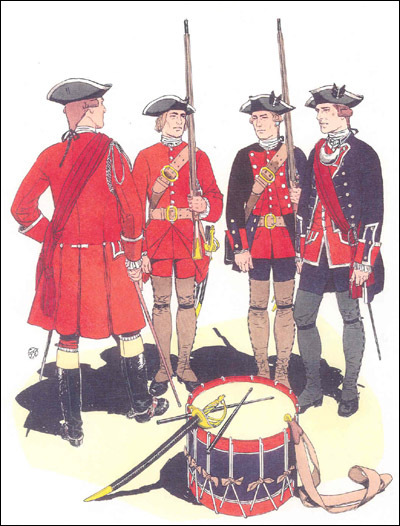 April 26-28, 2013 – Greensboro, NC – Southern Campaigns of the American Revolution with the Sons of the Revolution in the State of North Carolina presents their dynamic, fun, and scholarly symposium on the Life and Times of Henry “Light Horse Harry” Lee. The importance of the cavalry and light troops in the Southern war led General Nathanael Greene to put Lee’s Legion “upon as good a footing as possible.” Now you can walk the grounds where Lee rode, fought and sealed his reputation on the battlefield. Hear and interact with presentations by prominent scholars and authors to include Lee’s controversial life and contributions to American Liberty as a soldier, politician and early Southern Campaigns historian, and his roles in family and business. April 26, 2013 – Friday – our Lee sites bus tour will feature the posturing of the Southern Department armies commanded by Lord Charles Cornwallis and Gen. Nathanael Greene in early March 1781 leading up to their final clash at Guilford Courthouse. Included are Harry Lee’s battle sites in the Burlington, NC area: the skirmishes at Clapp’s Mill, the Rocky Ford at Weitzel’s Mill, and the latest scholarship on Pyle’s Hacking Match. Also go to the armys’ camps at the Alamance Regulators battlefield, High Rock Ford and Speedwell Iron Works on Troublesome Creek. Local guides include historians Bob Carter, Stewart Dunaway and Jeff Bright. Tour by preregistration only. April 27-28, 2013 – Saturday & Sunday – “Wedded to my Sword” The Life and Times of Henry “Light Horse Harry” Lee will include the latest scholarly research on the interesting and, sometimes, controversial life of Harry Lee with boots-on-the-ground tours of Lee battle sites along the 18th c. road from the New Garden Meeting House to General Nathanael Greene’s awaiting army posted at Guilford Courthouse with Greene expert Dennis Conrad, 18th c. cavalry expert Dan Murphy and others. Dynamic presentations on Lee’s life, contributions to the Revolutionary War, as a Virginia politician, Southern Campaigns historian, and his controversies will be made by world-class scholars including Jim Piecuch, Ben Huggins, John Hutchins, Mike Cecere, Jim Mc Intyre, Ben Rubin, John Beakes, Steve Rauch, Dan Murphy, and Stewart Dunaway. Our keynote address will be delivered by Dr. Dennis M. Conrad, editor in chief of the southern campaigns volumes of the Papers of General Nathanael Greene, Harry Lee’s boss during the Southern Campaigns. On Sunday’s included battlefield tour, we will see the New Garden Meeting House and road to Guilford Courthouse – sites of Harry Lee’s initial battles with the British commander, the infamous “Bloody Ban” Tarleton, prior to the general engagement at Guilford Courthouse – and walk the Guilford Courthouse Battlefield. Lee’s climatic clash at Guilford did not happen within the federal park; we will go to the site. Call (803) 549-6710 to preregister for the Symposium or email Charles B. Baxley at cbbaxley@truvista.net or David P. Reuwer at davidreuwer3@aol.com for other event details. The Civil War Trust, the nation’s largest nonprofit battlefield preservation organization, partnered with Culpeper-based businesses and local preservationists to complete the installation of an interpretive center at the Kelly’s Ford Battlefield. Signage, fencing, trails and other amenities are among the additions comprising the interpretive center, dedicated on the battle’s 150th anniversary on Sunday.“Completing the protection and interpretation of this site would have been impossible without the help of the landowners, local businesses and our members,” Trust president Jim Lighthizer said in a press release from the CWPT. 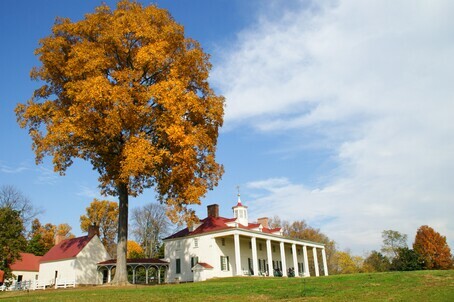 “Future generations now have the chance to experience America’s history first hand by visiting this site.”In November 2012, the Trust secured an easement on a 964-acre farm owned by the Woodward family, among the largest transactions in the organization’s 25-year history, with the intention of not only preserving, but interpreting the site. The battle was recently commemorated at the Inn at Kelly’s Ford. The Central Virginia Battlefields Trust has added an important new acquisition to our existing holdings in the Wilderness. On December 31, we closed on the purchase of 81 acres of property, which we have now designated as “Wilderness Crossroads II.” This land consists of three nearby but noncontiguous parcels, all of which have significant frontage on the historic Orange Turnpike (modern day Route 3). 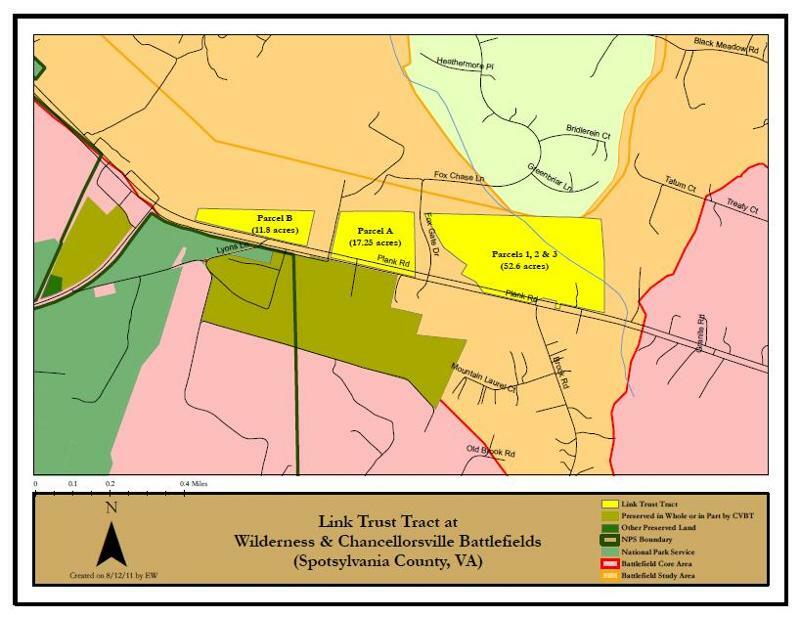 The property, which lies on the north side of the turnpike, near its intersection with the Germanna Plank Road, is directly across from the 93 acre tract that CVBT acquired in 2009. While it is located outside of the National Park Service boundary, the property is of such historical significance that CVBT was committed to acquiring it once the necessary funding became available. Founding CVBT Board members John Mitchell and Enos Richardson were instrumental in acquiring and preserving these key parcels of land. This land was owned by William M. Simms during the time of the Civil War, and it includes the site of the historic Wilderness Tavern. During and after the Battle of Chancellorsville, which was fought approximately three miles to the east of this ground, the tavern and its appurtenant buildings and surrounding grounds, which came to house many tents, served as the site of the Confederate Second Corps Hospital. Many of the Confederates who were wounded at Chancellorsville were brought to the Wilderness Tavern hospital and other nearby hospitals. At one point, more than 3,000 soldiers were ministered to on this land. The most famous person to be treated at the Wilderness Tavern Hospital was Confederate General Thomas “Stonewall” Jackson, who was accidently wounded in “friendly fire” by men from Jim Lane’s North Carolina brigade in the darkness on the night of May 2. 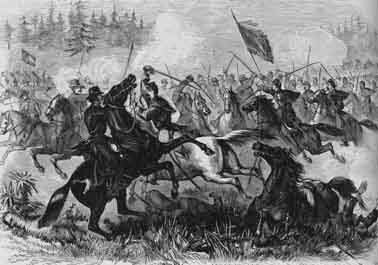 Several of Jackson’s compatriots were also killed, or had their horses shot from under them. General Jackson’s left arm was shattered by two musket balls, and he was transported to the Wilderness Tavern hospital, where Dr. Harvey Black had a large tent prepared for his arrival. 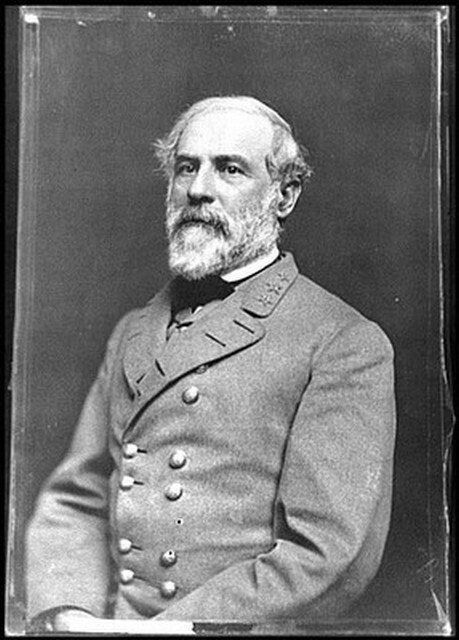 Dr. Hunter H. McGuire accompanied General Jackson to the hospital and performed surgery on him. However, given the severity of Jackson’s wounds, Dr. McGuire had to amputate his arm. 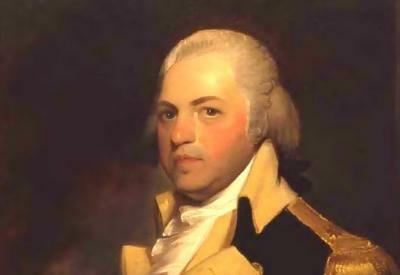 General Jackson was then transported to Guinea Station, where he died several days later. During the Battle of the Wilderness on May 5-6, 1864, this land was again the focus of much military activity. The Union Army of the Potomac established its headquarters at this crossroads, and Generals Ulysses S. Grant and George G. Meade were present here. The land today is well preserved, and it appears much as it did during the time of the civil war. The purchase price for these three parcels was $575,000. CVBT was able to purchase this land using matching grants from both the Commonwealth of Virginia and the American Battlefield Protection Program, along with assistance from our good friends at the Civil War Trust. The March 2013 edition of The Smithsonian Magazine has an article on “The Shocking Savagery of America’s Early History.” The piece (on-line here) tells us that Bernard Bailyn is the “greatest historian of early America alive today.” How one measures that we are not told. It goes on to report that he’s “now over 90 and ensconced at Harvard for more than six decades,” and “has recently published another one of his epoch-making grand narrative syntheses, The Barbarous Years, casting a light on the darkness, filling in the blank canvas with what he’s gleaned from what seems like every last scrap of crumbling diary page, every surviving chattel slave receipt and ship’s passenger manifest of the living and dead, every fearful sermon about the Antichrist that survived in the blackened embers of the burned-out churches.” Yes that was a run-on sentence. In his new book Bailyn “has not painted a pretty picture. Little wonder he calls it The Barbarous Years and spares us no details of the terror, desperation, degradation and widespread torture—do you really know what being “flayed alive” means? (The skin is torn from the face and head and the prisoner is disemboweled while still alive. )” Do we really need this breathless prose here? No. What has happened to reporting? Is it all about how smarmy/cute/egocentric the writer has to be these days, rather than tell readers what is going on? But even more—-are any informed Americans really “shocked” at how savage early America was? They should not be. 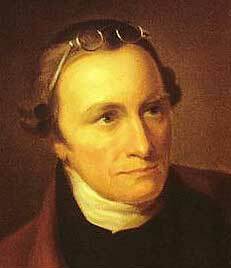 The road to American independence was a long one, built on determination and sacrifice. The ideals of the American Revolution — embodied in the Declaration of Independence — continued to evolve even after the nation’s birth. The foundations of religious liberty were laid early, beginning with the First Great Awakening in the 1720s and stretching to the passage of the Virginia Statute for Religious Freedom in 1786, followed by adoption of the First Amendment five years later. Personal liberties and political equality, both cornerstones of the Revolution, did not spread to all citizens for years. Women and individuals of African descent, for example, did not begin fully benefiting from the promise of the Declaration of Independence until as late as the 20th century. The fight to uphold these ideals resurfaces still today. The path to political independence — the struggle to separate the colonies from the British Empire — began long before the first shots were fired at Lexington and Concord on April 19, 1775. As John Adams later wrote: “The revolution was affected before the War for Independence commenced. The revolution was in the minds and hearts of the people.” Adams believed the seeds of revolution were planted at least a decade before, as issues of security, taxation, representation, and political authority stirred American opposition. Independence — proclaimed on July 4, 1776, and completed in 1783 — came only after significant sacrifice in blood and suffering. Thus, the road to the American Revolution — and the accompanying revolution inside the people — was protracted and arduous, extending into the modern era. Please travel this road, and encounter its many signs and footmarks, around Virginia. For more information about the Road to Revolution State Heritage Trail, visit http://www.roadtorevolution.com/. Its social media addresses are www.facebook.com/roadtorevolutionva and www.twitter.com/rdtorevolution.